-48" & 52"(cutting width) cutter decks are constructed with a 10-gauge top with an 11-gauge reinforcement plate around the spindle mounting area for extra support. The cutter deck skirt is 7-gauge for additional strength. This is not a mass produced, stamped steel deck. This is a commercial grade, fully fabricated and welded heavy steel cutter deck. -Power your Freedom with commercial grade, full pressure lubrication engines. 22 HP or 24 HP Kohler 7000 PRO Series V-Twin engine options. Click here for a complete list of engine and cutter deck combinations. 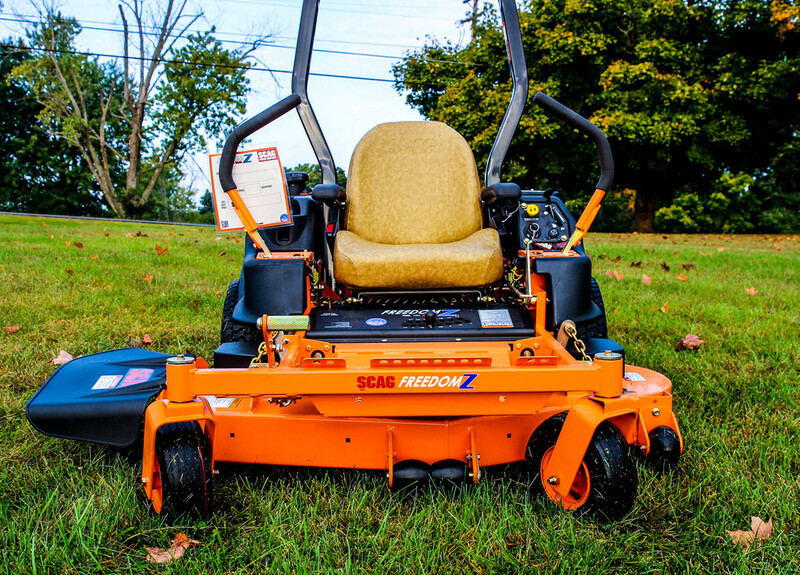 -Compact mower size enables you to take the Freedom Z into tight places. The Freedom Z also occupies less space in your garage or on the trailer, leaving more room for other tools and toys. 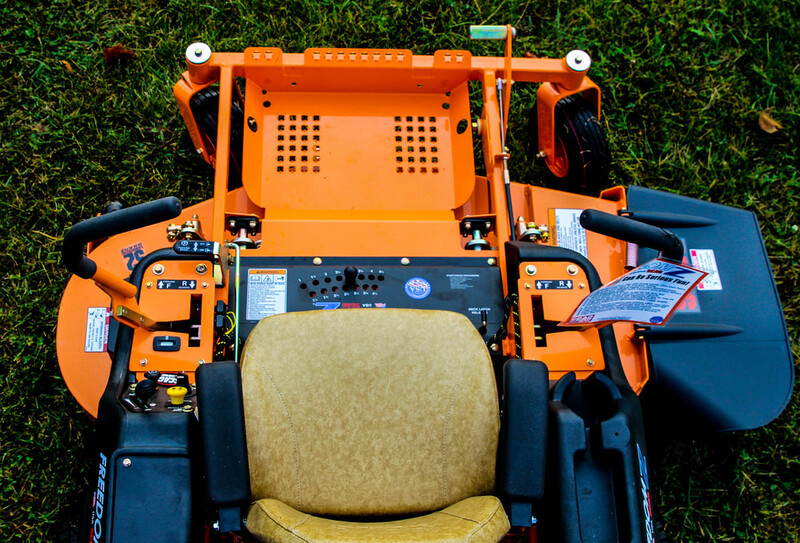 -6.5 gallon fuel capacity gives you the freedom to cut vast amounts of grass without having to stop and refuel. The fuel tank features an extra large filler neck for easy refueling. -Large drive and caster tires ensure solid traction and a smooth ride. -Easily adjust cutting heights while seated via. Wide range of adjustment from 1" to 4-1/2" in 1/4" increments. -All steel pulleys are stronger than plastic pulley designs. This is a Scag....you will not find plastic pulleys on the Freedom Z. Steel dust and debris covers are fitted over idler pulley bearings and spindles to keep foreign material out, extending bearing life. -Interlocked parking brake system prevents movement when parked on inclines. The mower cannot be driven when the brake is applied. This prevents premature brake wear. -Operator friendly instrument panel is conveniently located just to the left of the operator. It includes an ignition switch, mower engagement switch, and separate choke and throttle controls. -Digital hour meter only activates when engine is running and is located within easy sight of the operator while in the operating position.